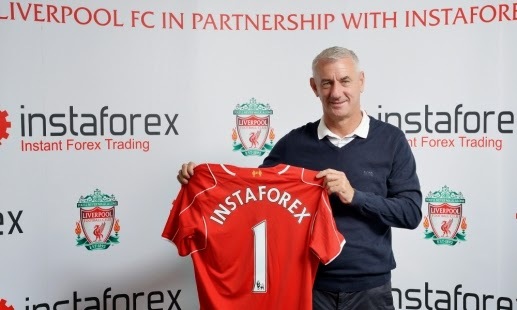 Sports Media Gaming have brokered an extensive agreement between Liverpool Football Club and leading online Forex trading company, InstaForex, who today announced a partnership that will initially run for two years until the end of the 2015/16 season. InstaForex, will become the Club’s Official Online Forex and Binary Options Trading Partner in Asia and the Commonwealth of Independent States (CIS). “We are delighted to welcome InstaForex to the Liverpool family as our very first online foreign exchange trading partner. The online service has over 1.2 million online customers and those in Asia and the CIS will benefit from this partnership, which will see InstaForex offering fans content and access to the team they love” commented Chief Commercial Officer of Liverpool FC, Billy Hogan. InstaForex specialises in online trading of currencies. The brand is renowned worldwide for cutting-edge services and new products in the Forex market. The services of InstaForex are recognised not only by customers but also by the experts in the field and they have been awarded “Best Forex Broker Asia Pacific” by International Finance Magazine and “Best Forex Broker Eastern Europe 2014” by IAIR Awards.